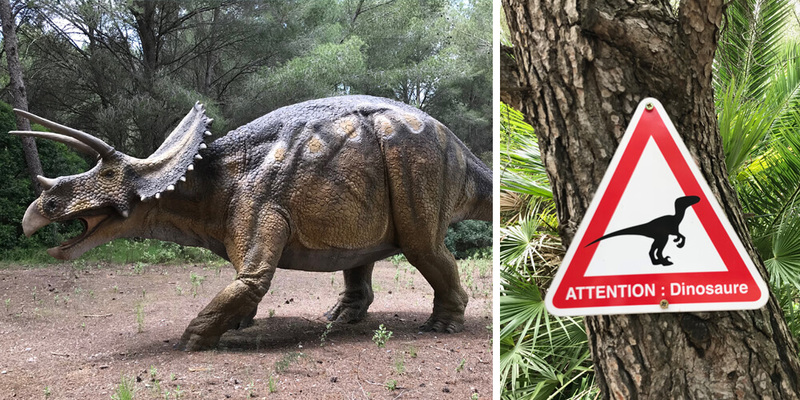 If your kids are into dinosaurs, the Musée Parc des Dinosaures et Préhistoire in Mèze is a definite must-go. Here you will meet a life-sized Tyrannosaurus Rex replica and many other dinosaurs with unpronounceable names. I really don’t understand how children can memorise them… Our kids couldn’t wait to go on an adventure and plunge into prehistoric times. The Musée Parc des Dinosaures et Préhistoire in Mèze is the largest of its kind in Europe. 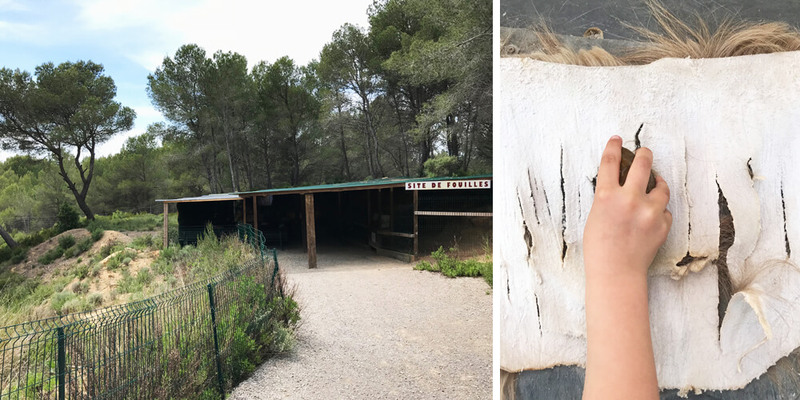 You might be wondering why such a large museum dedicated to dinosaurs and prehistory stands in the South of France. Well, back in 1996, palaeontologists found a large number of dinosaur eggs on this exact excavation site. This exciting discovery proved that different species of dinosaurs occupied this region millions and millions of years ago. 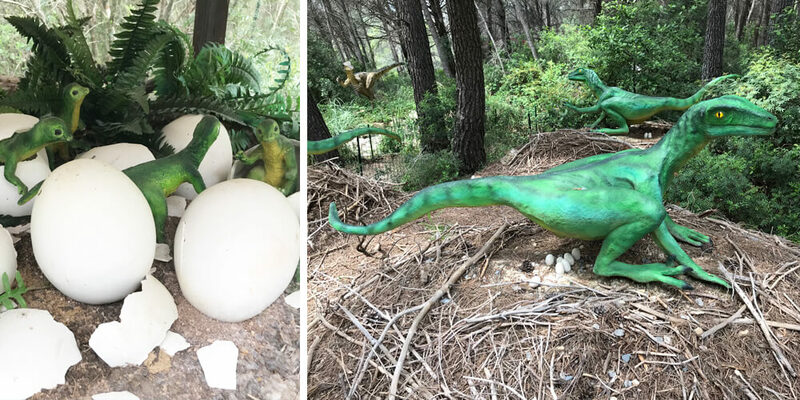 Therefore, this was the perfect place to set up an educational museum based around these dinosaur eggs. When entering the park, you’re immediately face-to-face with a gigantic Tyrannosaurus Rex, attacking a Triceratops with its baby. 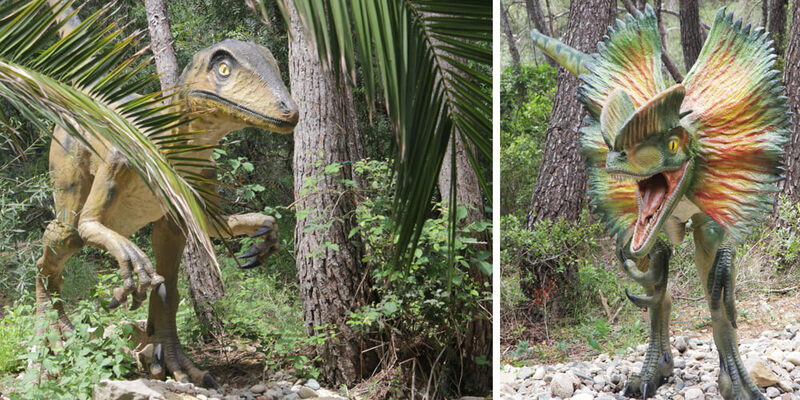 The mood has been set for the rest of the visit… Walking along the pathway, through a shady pine forest, we encountered many fierce looking dinosaurs. Our kids are already big, but I can imagine it might be somewhat scary for the little ones. Although I didn’t hear one child cry. You can also see some of the real dinosaur egg fossils in the display cases scattered around the parc. After the dinosaurs, we entered the prehistoric part of the parc. So it’s like getting two museums for the price of one. This second part is entirely about human evolution, including reconstructing scenes representing the different stages of humankind. 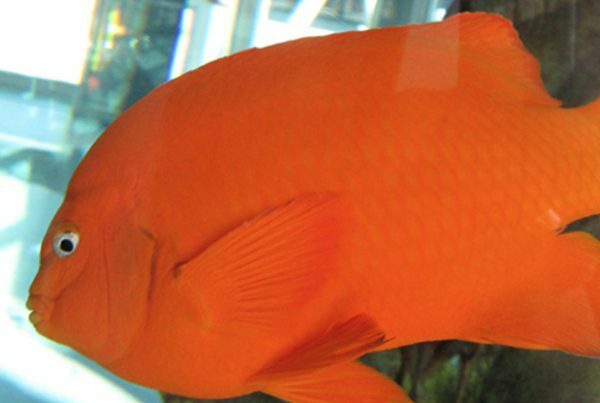 As our kids learned about prehistoric times this school year, their history lessons came alive. They even met a representation of Lucy, the famous australopithecine fossil. 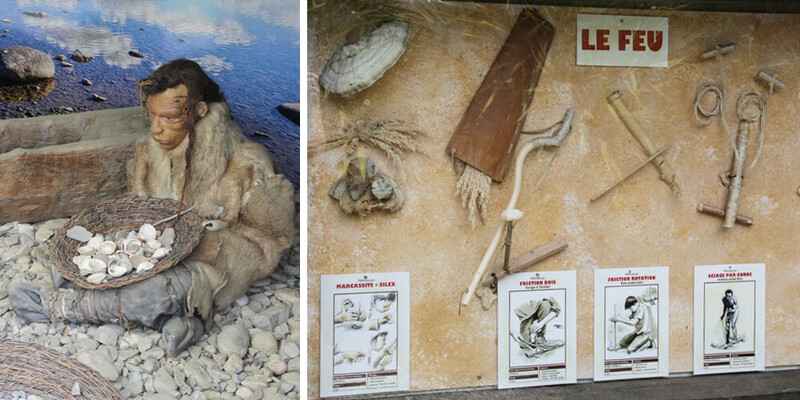 The museum really makes an effort to make prehistory even more vivid for the kids. Apart from information boards with visuals and clear explanations (also partly in English), the children can actually use stone tools. It perfectly demonstrated to our children how difficult it is to scrape, cut and incise with a prehistoric silex. All in all, we had a great and interesting afternoon. And after the obligatory stop at the museum shop, we finally arrived back in the present time. You will find the Musée Parc des Dinosaures et Préhistoire just outside of Mèze, on the RN113 to Pézenas. It’s open from April to October. 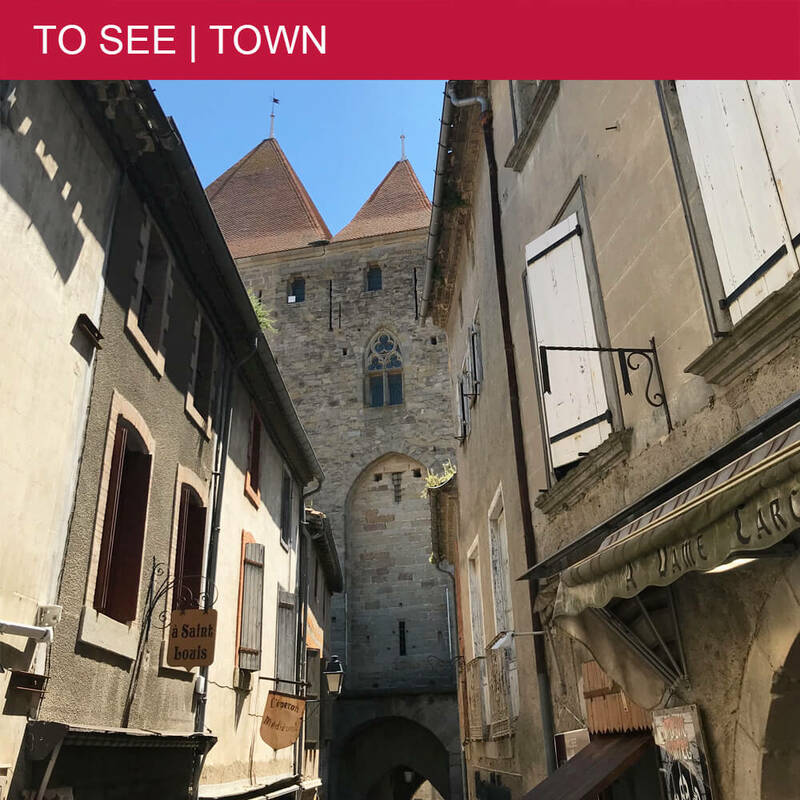 In July and August, the museum is open all day. However, in the other months it’s only open in the afternoon from 14h00. Check their website if you want to be sure.